This is the only 60 in today's market that is equipped with a NEW Palm Beach Tower, two generators (port is brand NEW) and an additional fuel tank. 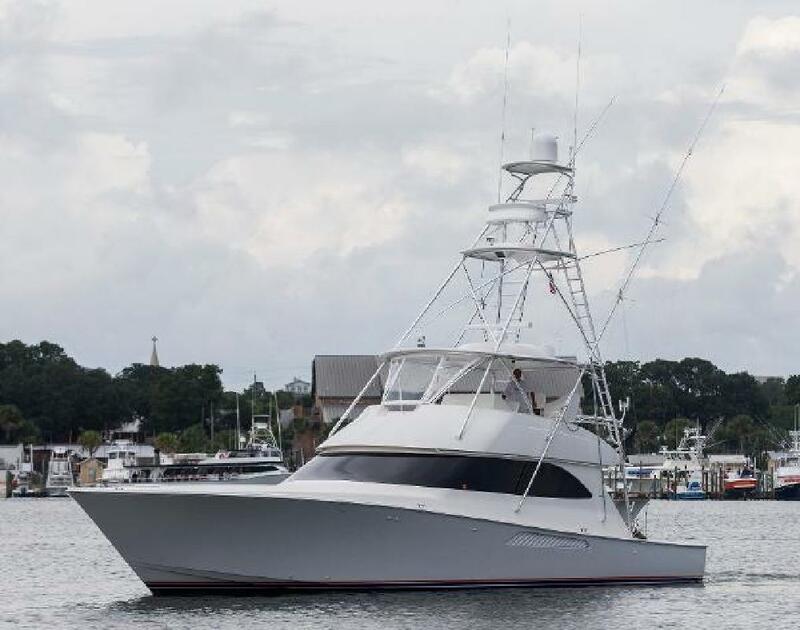 This vessel just had a full refit completed at Viking South Yard, Palm Beach Tower and AME. Do not overlook this opportunity. If you are considering a pedigree, late­model convertible, please call. The Imagine is a three­stateroom, three head model with satin finished interior featuring the optional VIP forward stateroom layout with cross crossing upper/lower berths. She offers the best in electronics including a NEW Garmin chart plotter and Garmin CHIRP transducer. She also has Furuno Navnet 3D, Flir, so much more. Fishing equipment includes Pipewelders outriggers, Release chair, 8 Hole Rocket launcher, teak cockpit, bait freezer, bait station, Eskimo ice machine, and watermaker. The Imagine has just gone through a $ 800,000+ full refit at Viking South Yard, Palm Beach Tower and AME. NEW painted hull and so much more. With her NEWLY painted hull, Imagine shows like a NEW vessel. Please feel free to call with any questions. You will not be disappointed!! Draft: 5 ft. 1 in. Beam: 18 ft. 9 in.